Our Americana friends take us in many directions this week. Enduringly great Robert Earl Keen is on a bluegrass trip. Songwriters Richard Fagan and Jack Tempchin are on the comeback trail. Up-and-comers Della Mae and Statesboro Revue continue their marches to roots-music stardom. And we’ll follow the always dependable Darrell Scott and Kasey Chambers wherever they lead. The sales success of Jason Isbell is making headlines. But it’s his music that earns him the Disc of the Day. The DisCovery Award goes to Amy Helm. She has a stellar pedigree and the talent to fulfill it. —Tempchin initially made his mark by penning “Already Gone” and “Peaceful Easy Feeling” for The Eagles. He also struck paydirt with Johnny Rivers’ hit version of “Swayin’ to the Music (Slow Dancin’)” in 1977. But he has sporadically made solo albums, too, including a fondly remembered 1978 effort for Arista. This is the title tune of an EP that’s a foretaste of his full-length CD comeback next month. His honest, open, earnest tenor voice breathes life into this nostalgic ode to his father’s guidance. Gentle, echoey instrumental support adds extra heart and warmth. —She is the daughter of the late Levon Helm, a prominent participant in his Midnight Rambles and a member of the roots band Ollabelle. 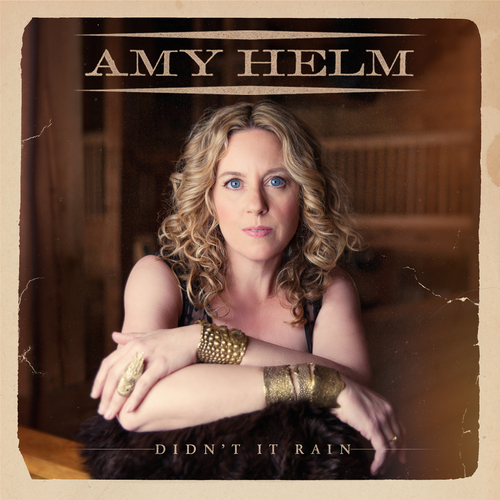 Now Amy Helm steps out with her first solo CD, Didn’t It Rain. This groovy, rhythm-happy, blue-eyed soul track has become an NPR favorite. Rolling, rollicking piano by Little Feat’s Bill Payne sure doesn’t hurt it. Also check out her version of Sam Cooke’s “Good News.” This gal has what it takes. —His brilliant last album, Southeastern, triumphed at the Americana Music Awards. 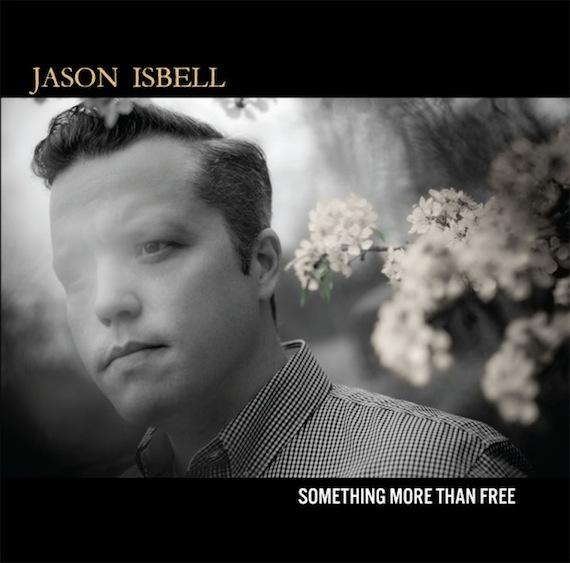 Isbell returns this year with an equally arresting song cycle. Its title tune is the world-weary lament of a persevering working man. His plaintive, near-rasp delivery demands that you hang on every line of this and every other song he sings. The man is a Nashville treasure. —Best known as the writer of the John Michael Montgomery’s “Be My Baby Tonight,” “Sold” and “I Miss You a Little,” Fagan has a new collection of 11 originals. The title tune is a gospel-flavored shout that references his hair-raising, hard-living past, including killing his best friend. Elsewhere on the set, his gifts for innovative production touches, startling lyrics and instantly catchy melodies shine brightly. —The title tune of this Aussie singer-songwriter’s new CD is a wistful duet ballad that burns with romantic regret. She can still break your heart with every vocal note. —The widely beloved troubadour has built a career on his gripping songwriting. Keen has long been a bluegrass fan, and he sets aside his own catalog on his Happy Prisoner: The Bluegrass Sessions CD to sing the songs of Flatt & Scruggs, Bill Monroe, The Stanley Brothers, A.P. Carter, Jimmie Rodgers and more. His take on this Richard Thompson tune has a dark urgency. As always, his voice is packed with personality. Only this time, it is backed by hot pickers, including Sara Watkins of Nickel Creek on fiddle. Vocal guests include Lyle Lovett, Natalie Maines and Peter Rowan. I remain an enormous fan. —This all-female Nashville ensemble scored a Grammy nomination with its prior Rounder CD. The follow-up is less bluegrassy, leaning toward an earthier, thumpy folkie vibe. It leads off with this rolling, earnest, ramblin’-gal ode. Other highlights include a cover of the Stones’ “No Expectations.” Della Mae’s accomplished picking and singing grab your ears throughout. If you aren’t already, get hip to this band. —Levinger is better known as “Banana,” one of the original members of The Youngbloods. His solo CD revives that band’s favorites—”Sugar Babe,” “Darkness Darkness,” “Grizzly Bear” and the like. The title tune is The Youngbloods’ all-time hippie love-one-another classic, slowed to a shambling, affectionate shuffle. His bandmate Jesse Colin Young joins him on vocal harmony. Off in the audio distance are Maria Muldaur, David Grisman, Peter Rowan and other “Grand Chorus” friends. Smile on your brother, indeed. —This Texas ensemble took the roots-music world by storm with its debut collection two years ago. The follow-up is the appropriately titled Jukebox Revival. This lead single is a funky, rocking, soulful, swampy ode to working-class America. The album drops on Aug. 7. Get on board now. —A formidable songwriter himself, Scott devotes his new CD to the works of the late tunesmith Bud Bullington. It is a spare recording, just an extraordinary singer accompanying himself with nimble fingers on guitar, piano, banjo, steel or bass, depending on the song. Here, he moans the bluesy, haunting lyric while his banjo notes drop around him. There is no one in this city I’d rather have sitting next to me with an instrument, singing lyrics this marvelous in my ear. A stunning recording.